This article is part of The Conversation’s 2015 series on hurricanes. You can read the rest of the series here. In September of 1900, the cyclone that would become the Great Galveston Hurricane passed from Cuba, across the Straits of Florida and over the Dry Tortugas. It then disappeared from forecasters’ maps into the Gulf of Mexico. Although its winds and waves tormented the steamships Pensacola and Louisiana, maritime radio reports lay a decade in the future. As the storm approached, Isaac Cline, the chief of the Weather Bureau’s Galveston office, had only the same clues that Columbus had learned to rely on from the Taino people 400 years before: a long-period swell from the east, winds and clouds moving from unusual directions. By sunrise on Sunday Sept. 9, the storm had claimed as many as 8,000 lives, the deadliest US natural disaster. Looking for bodies in Galveston after the hurricane. Not so long ago, hurricanes used to make landfall essentially without warning. But over the past century or so, new observation technologies have allowed us to track these storms more effectively and thus make better predictions – and save lives. Flights into the eye of the storm provided a whole new wealth of information. Landline telegraph reports and, after 1910, radio ship reports formed the observational basis of real-time forecasts until Joseph Duckworth flew a single-engine instrument-training airplane into the “Surprise” Hurricane of 1943. Once aviators realized they could penetrate to the centers of hurricanes and live, aircraft reconnaissance of hurricanes became routine. Observational tools were still primitive — visual estimation of wind direction and speed based on the appearance of the sea and extrapolation of surface pressures from altitudes of a few hundred feet. The next year, the Weather Bureau attributed relatively light loss of life in New England during the Great Hurricane of 1944 to more accurate forecasts thanks to aircraft observations. World War II brought other technological developments, particularly weather radar and widespread rawinsonde (weather balloon) observations. They increased the data collection area from the Earth’s surface to more than 50,000 feet up, albeit primarily over land. Superfortress weather ship of the 53 Weather Reconnaissance Squadron landing at its base in England. By the 1950s, our modern forecasting system was in place. Aircraft scouted eastward across the Atlantic for developing tropical cyclones. Once a tropical storm (winds stronger than 40 mph) or hurricane (stronger than 75 mph) formed, airplanes would “fix” its center four times a day by flying inward perpendicular to the wind until they reached the calm at the center. They would record the strongest winds – based upon visual estimates or lowest extrapolated pressure – as they flew in and out of the eye, and also the position and lowest pressure at the center. With these data, forecasters could predict the hurricane’s motion a day into the future using subjective rules and, later, simple statistical models. They could also provide mariners and coastal residents with useful estimates of damaging winds, waves and rain – with some amount of warning. Satellites can track hurricanes from orbit and feed data back to ground-based forecasters. These polar-orbiting satellites prepared the way for the geosynchronous satellites that became operational in 1974. They revolved in much higher (~22,000 mile) orbits above the equator. Their revolution period was the same as the Earth’s, so they stayed over the same geographical position, providing an ongoing stream of images at typical intervals of a half-hour. They were ideal for observation of tropical weather systems, but images of high-latitude features were severely foreshortened. By the end of the 20th century, geosynchronous satellite coverage extended around the globe. 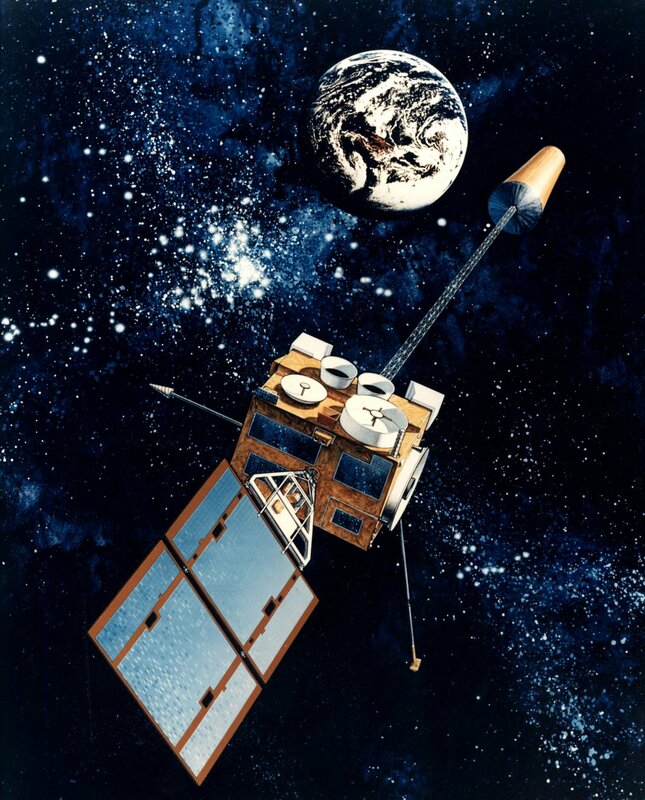 The NOAA GOES satellites represent the current US realizations of polar-orbiting and geosynchronous satellites. Also in the middle 1970s, Vernon Dvorak developed his scheme for estimating tropical cyclone intensity from visible-light images. In his scheme, the analyst recognized one of five scene types, made measurements of features’ sizes and arrangements, and combined the observed characteristics with recent intensity history to obtain estimated maximum wind speed. 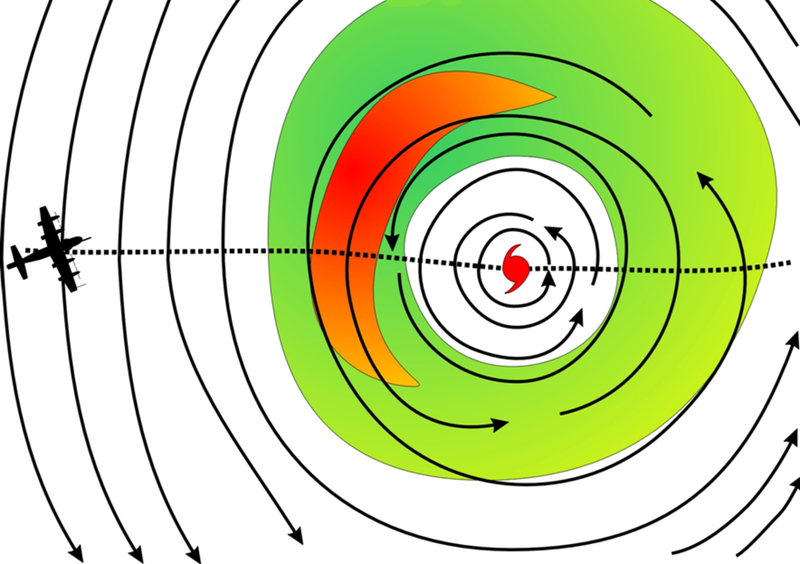 Along with satellite-based positions, Dvorak intensities are the cornerstones of 21st-century hurricane forecasting worldwide. Data collected by a flight into 1999’s Hurricane Floyd. The way to make forecasts ever more accurate is to feed them ever more detailed and reliable weather data. A number of technologies aim to do just that. Scatterometers are active radars that scan conically below air- or spacecraft. The radar beams reflected from the sea provide estimates of surface wind directions and speeds. But the speeds are reliable only when the winds are weaker than hurricane force. Stepped-frequency microwave radiometers (SFMRs) are passive alternatives. The SFMR looks at the ocean’s surface at different wavelengths of light. By separating the microwave radiation emitted by rain from the apparent whitening of the water’s surface as the wind increases, the SFMR can estimate both rain rate and wind speed, but not direction. Dropsondes are instrument packages dropped on parachutes from aircraft and tracked by Global Positioning System. They measure in-situ wind, temperature, humidity and pressure between the aircraft and the Earth’s surface. The last observation before the dropsonde “splashes” contains a good estimate of the surface wind. 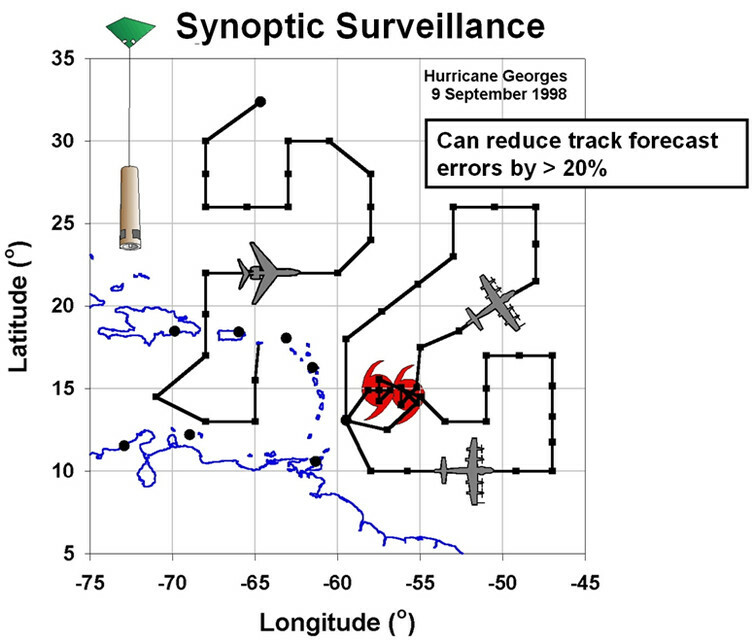 Measurements of “steering currents” – winds around hurricanes that control their motion – made by dropsondes deployed by aircraft flying around hurricanes can reduce track forecast errors by more than 20%. 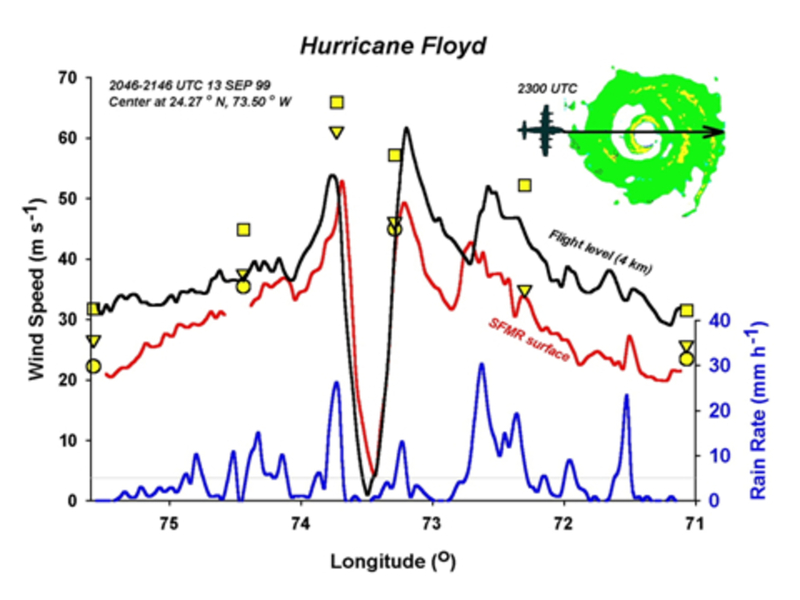 Dropsondes provide another level of surface-level measurements while hurricanes are at sea. 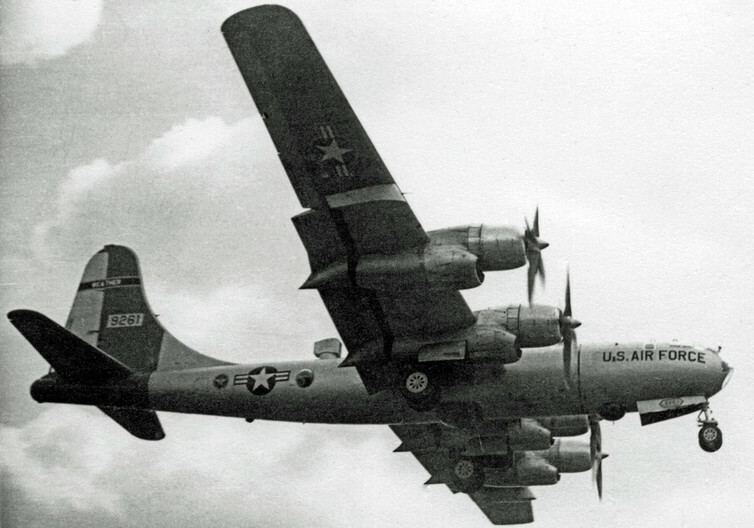 From the end of World War II until the mid-1980s, the US Air Force and Navy flew into both Atlantic hurricanes and Northeast Pacific typhoons. Then the US terminated Pacific reconnaissance completely, but retained a single Air Force Reserve reconnaissance squadron in the Atlantic. No other countries have taken up the mission because airplanes are expensive, while satellite observations, though generally less accurate, are readily available. All of these sensor instruments can be fitted to autonomous aircraft (drones). Miniaturization of the instruments and the aircraft itself may make autonomous aircraft reconnaissance cost-effective outside of the Atlantic. 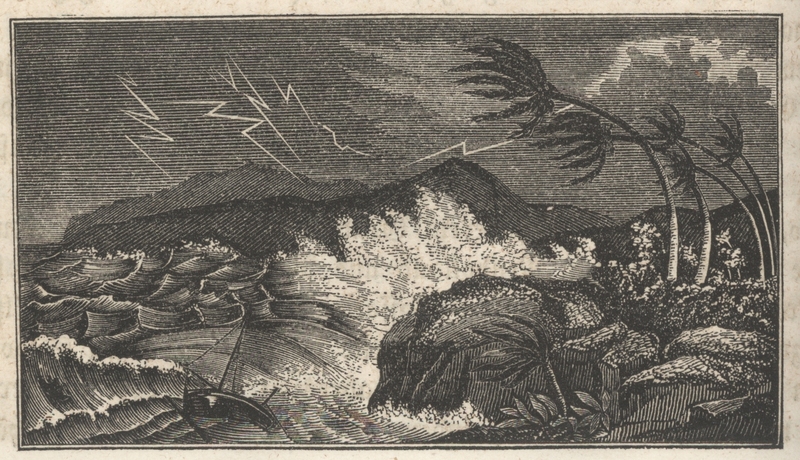 Hurricanes don’t catch us off-guard as they once did, as in the time of this 1865 woodcut. Observations are the foundation of a prediction enterprise that includes statistical and physical models and the invaluable judgment of human forecasters. Today’s forecasts prevent about 90% of the US hurricane-caused deaths you’d expect if technologies operated as they did in 1950 (scaling up for population). The economic value of the saved lives is about US$1 billion annually, achieved at a cost of a small multiple of $100 million. The statistics for prevention of property damage are less impressive, largely because people can evacuate from deadly storm surge and freshwater flooding, whereas fixed property cannot. But ever-improving observation technologies allow us to prepare for what hurricane season dishes out.